Hello lovelies and happy weekend! I've slept 3 extra hours this morning so this must be a very good day. Another reason why this is a great weekend is the fact that I finally managed to do some advanced nail art. It's been many weeks since I last participated in the TPA Group Challenge. I felt really uninspired but now I'm back! Today's theme was "tutti frutti", so naturally everyone did fruity nail art. I, however, chose to interpret this theme differently. Keep reading to see the explanation. I thought about doing all kinds of fruits on my nails but there's only so much you can do with that, and I wanted something original. When thinking of fruits I immediately thought of the Barry M Gelly Hi-Shine polishes and their names. Each of these polishes has the name of a fruit. I own 3 polishes from the collection and decided to use them all in a manicure. I don't know what got into me because yesterday I actually had the patience to sit down and do a water marble with these polishes. That hasn't happened in a really long time! 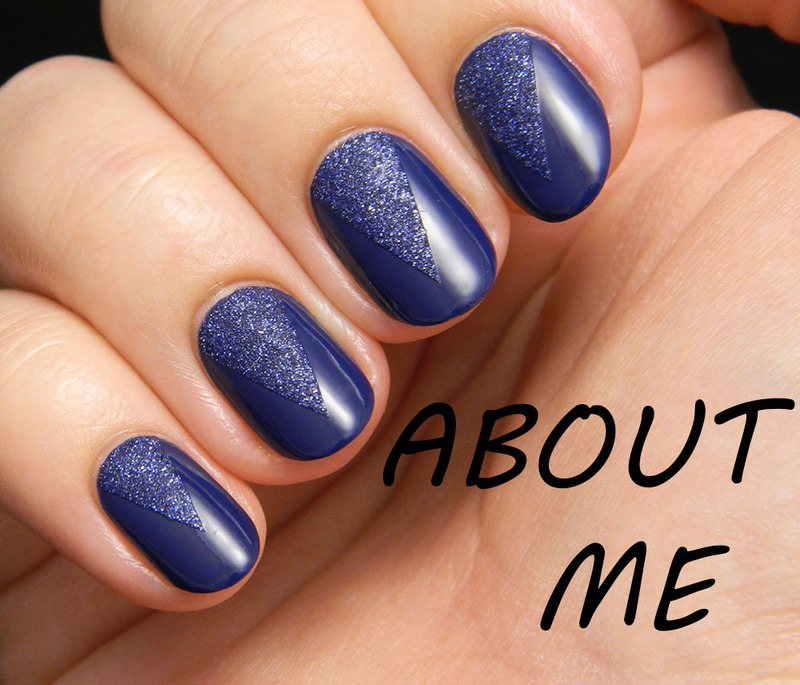 I started with a coat of white and then used Barry M Blue Plum, Blueberry and Prickly Pear for the marble. 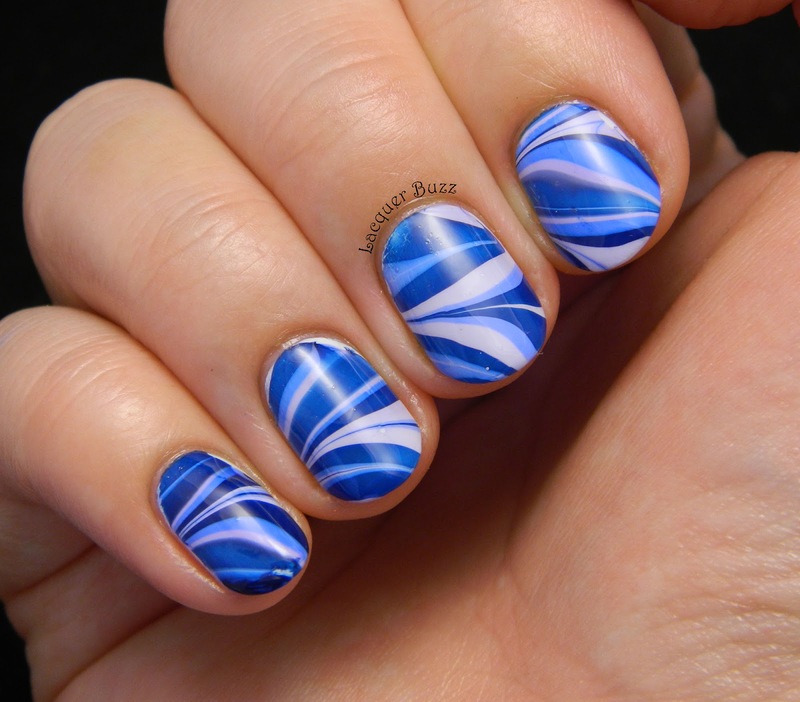 They were perfect for marbling because they spread nicely in the water and didn't mix either, so they created nice crisp lines. 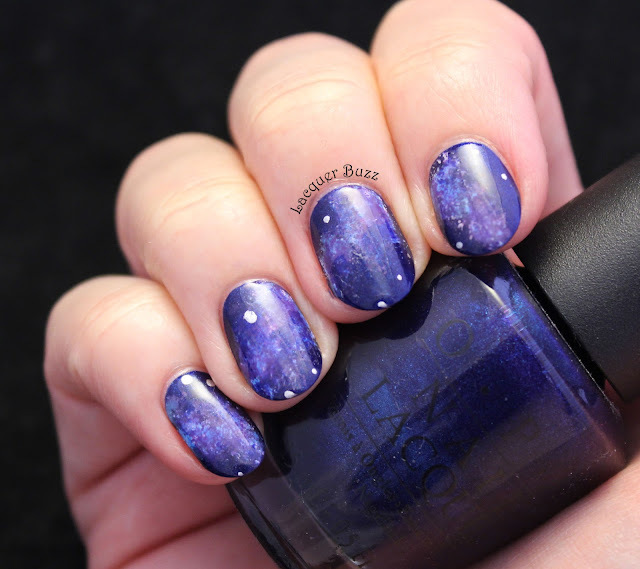 The only issue was that Prickly Pear became really sheer and created some very light lilac stripes on the nail. They look almost white in pictures so most people will think I marbled with white which I didn't. I also decided that I'm done with the fear of using up my more expensive polishes for water marbling because I only marble once or twice a year anyway. 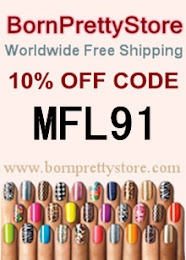 I have tons of polishes so even if I use a bit more there's no risk of ever running out of them. 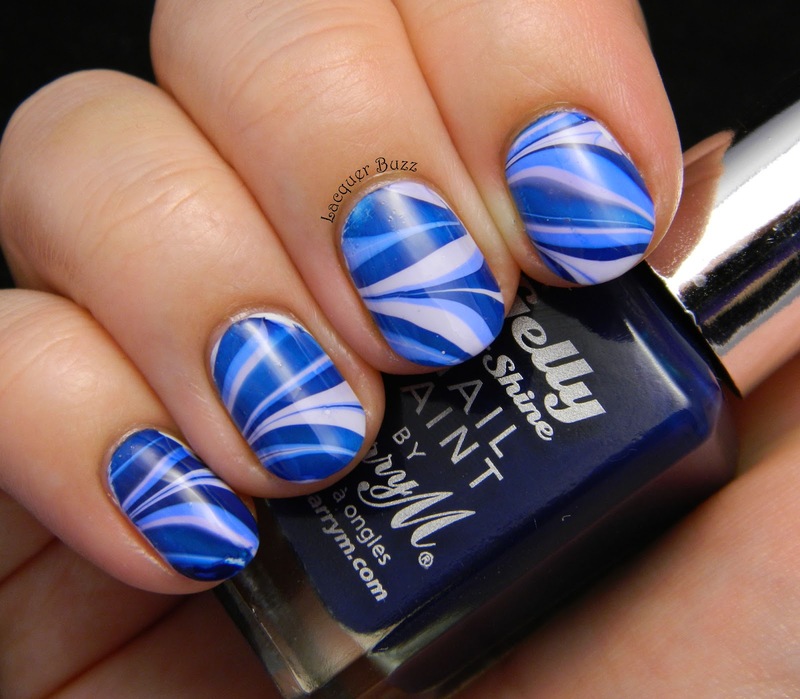 Plus the fact that you're using a quality polish makes water marbling easy and fun. 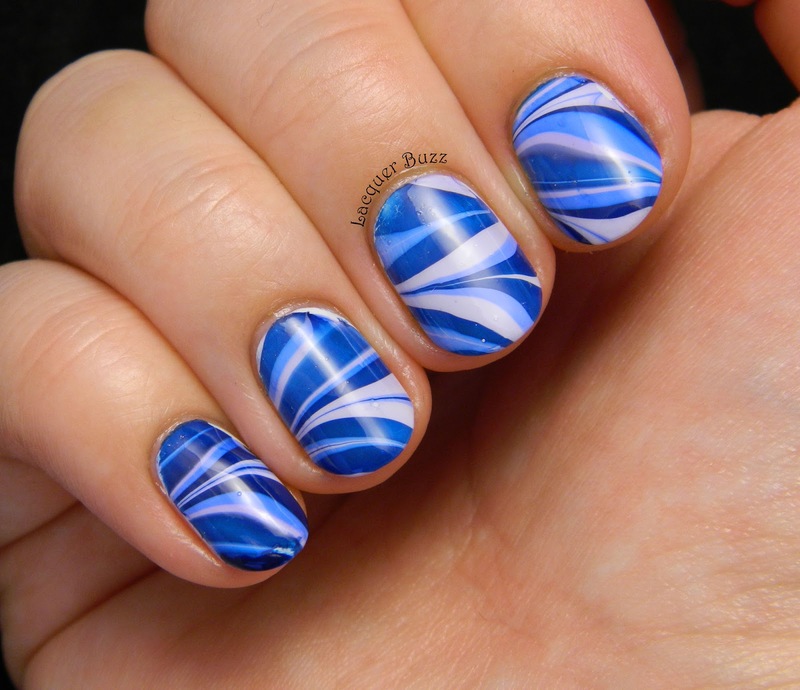 Great water marble, the colors are just gorgeous! inedita interpretarea ta! love it! Amazingly smart :D !! 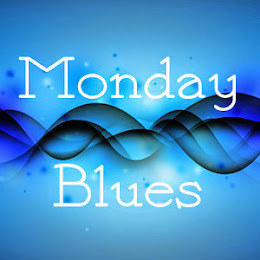 Love your WM so much, I cannot definitely resist to any shade of blue. 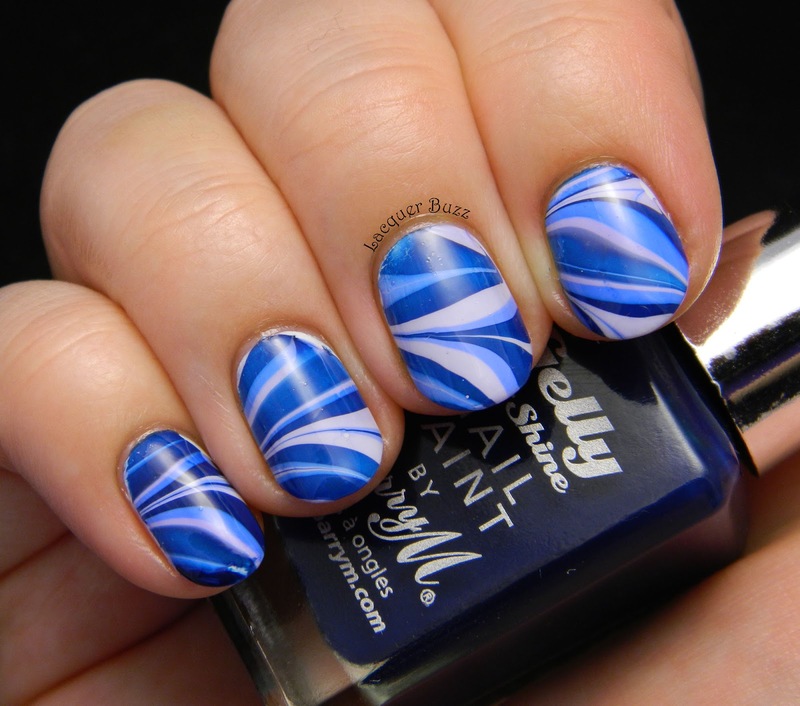 And I'm in love with BarryM's gellies, it's nice to read they're perfect for marbling!